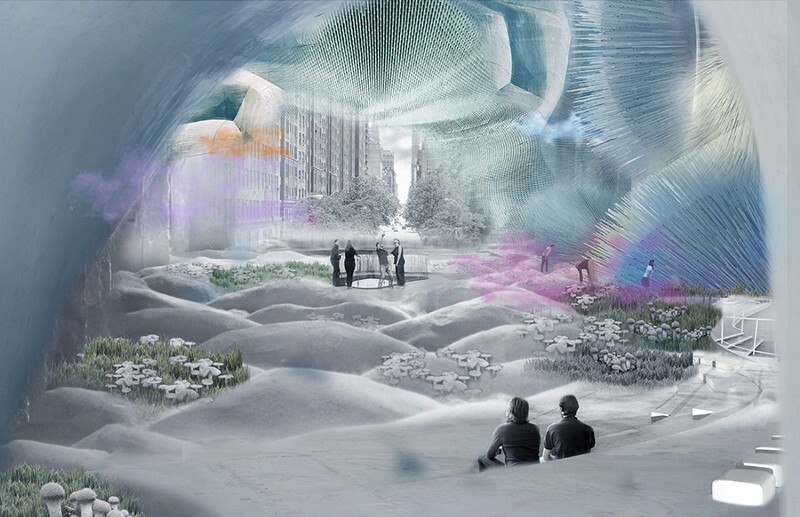 Featured in this week’s UNBUILT post, is Zherui Wang’s Coney Island Life Screen project. Check out his 3D model here. New York, 2050. The agenda of the Smart City is to collect information from the vast datascape that saturates urban environments and render it actionable. The collection of data, lying latently embedded in everything we know, has had an increasingly physical effect on how cities grow, mutate, and behave. With each evolution of information infrastructures follows a higher degree of data resolution and, theoretically, a more sensitive city. We are interested in the next paradigm of information, life after the Smart City: a Biosentient City. 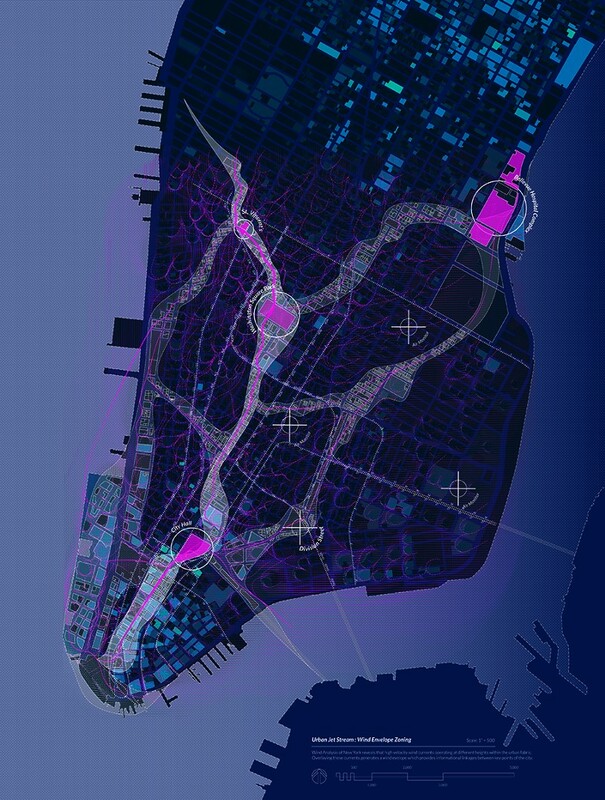 By combining wetware with the New York’s existing hardware and software infrastructures, we are speculating on a new urbanism brought about by information. Data requires units of measurement; Information requires an awareness of trends. The human body is already a rich site of bio-information. With a microbiota to human cell ratio of 10 to 1, these micro-organisms provide highly specific profiles of bodies and their activities. By tracking microbes, we observe that the data between bodies and bodies and bodies and spaces is in constant exchange. The Biosentient City begins with the dispersal of airborne bio-sensitive agents, bacteria capable sorting microbial data with an enhanced sense of delicacy and reacting based on a genetically programmed ruleset. If we coat New York with enough of these agents the City can truly behave as an organism; the collective bioagent population will register microbial exchange and behave accordingly. The city will transform with its own emergent consciousness. New patterns of behavior will emerge at different scales within the Biosentient City-some with explicit instructions from municipalities, others seemingly of their own accord. 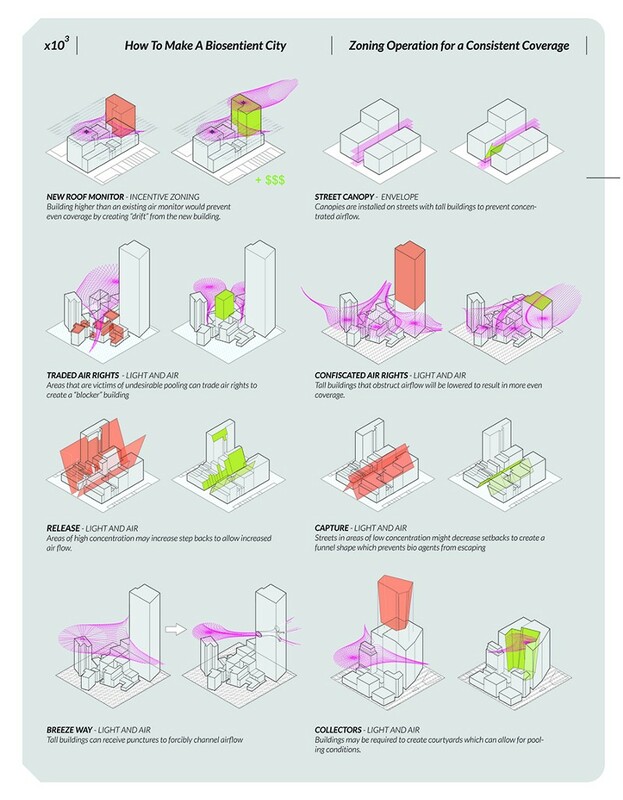 We expect these to be accompanied by design moves on the urban, architectural, bodily, and micro scales. Changes to the Zoning Envelope will affect aerodynamic (and thus bioagent) flow through the city, creating neighborhoods of high information collection and potentially changing real estate value. Street space, the public tissue housing the exchange between many bodies, becomes invaluable in observing rising trends within the city. 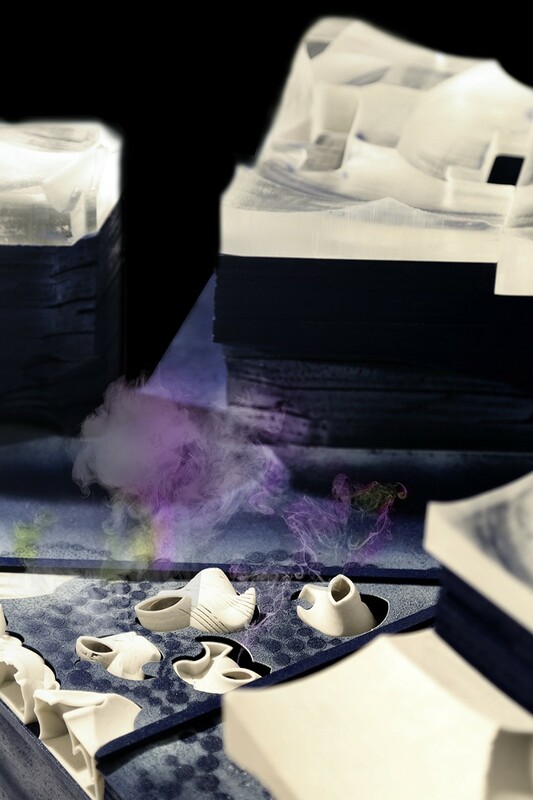 A new body consciousness will descend upon the New York, allowing for the formation of new typologies such as the Pharm, a public facility where bioagents are grown, collected, and released. 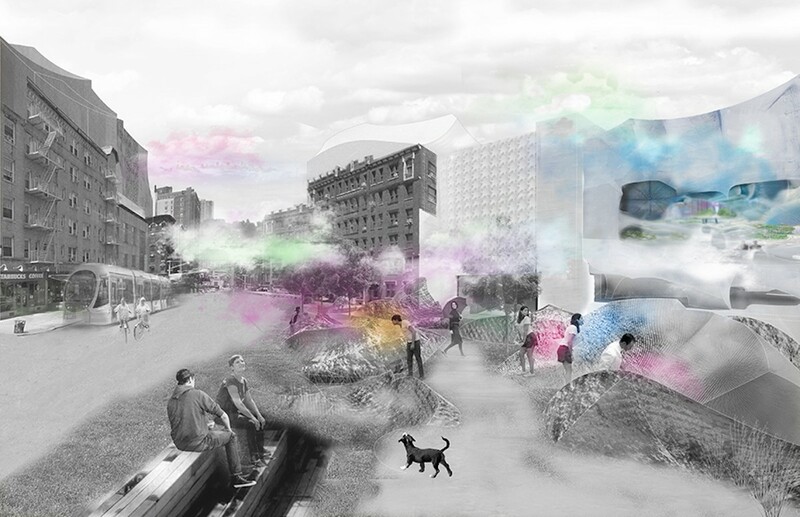 The site, 67 Greenwich Ave, acts as an entirely public space, a park where strange events occur in a normative manner. Interfacing with the biosensitive microtextures that compose the architectural assembly, visitors donate their microbes to the architecture which, in return, sniffs and trembles as it exchanges information with bodies. The body and architecture have tangible effects and affects on one another. Through this exchange, we expect many issues to arise: questions of privacy, of resistance or compliance, speculations on policies, debates of top-down versus bottom -up, promises of material, challenges of “natural versus artificial.” Culture Cultures explores the emergent cultural trends of a city beginning to grow as a biological culture. 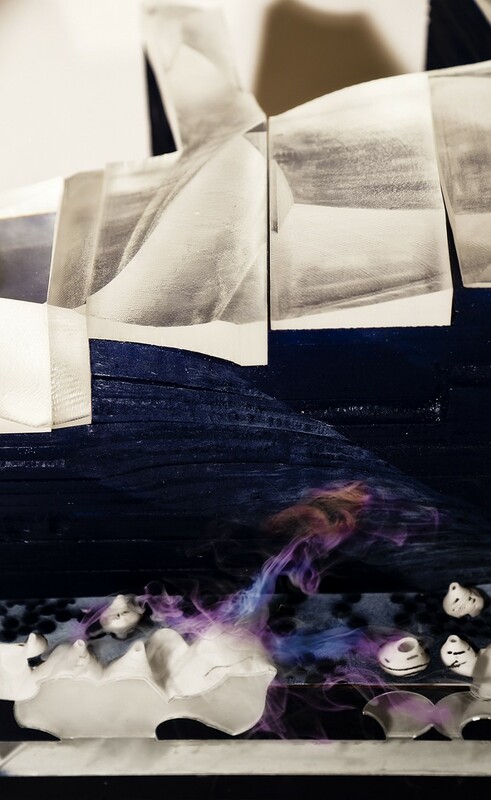  Archived in Unbuilt. Bookmark the permalink.